Those of you who follow me on Twitter might know that I’ve got a very exciting and hectic few weeks ahead of me. I’ll be relocating from Bristol to London just before new year to start a brand new job fundraising for the Prince’s Trust – an amazing charity, and one I feel absolutely honoured to be joining. You may also have noticed my numerous tweets whinging about packing up my life – sorry about that! This will be the third time I’ve moved around Christmas, and my 13th move in 23 years on this earth. You could say I should be a pro by now – which I am – but it doesn’t make me detest the process any less. So, clearly, I need incentives. Incentives to reward myself every time I clear out a kitchen cupboard, empty a bookshelf, or bag up half of my wardrobe. Yes? The other night, I told myself that if I packed three boxes, I could bake some brownies. 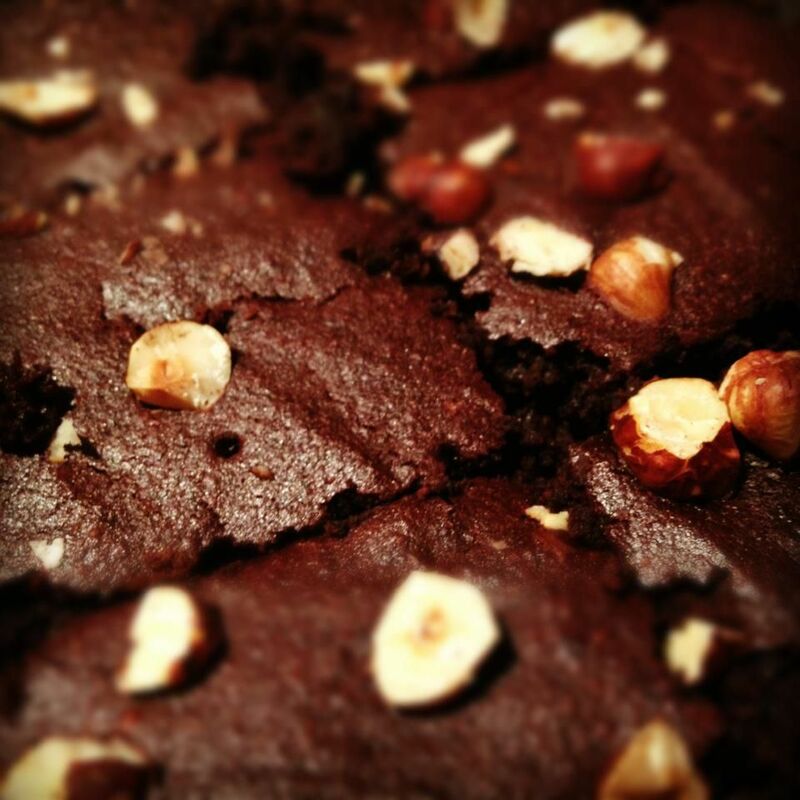 Three boxes, two bags, and a tidy kitchen later, I started making my brownies, smug at having surpassed myself. I adapted my recipe from one of my favourite books, and one I regularly bang on about – Red Velvet Chocolate Heartache – and got baking. Now, I know that beetroot and chocolate are a good match. I just had no idea they were this good. 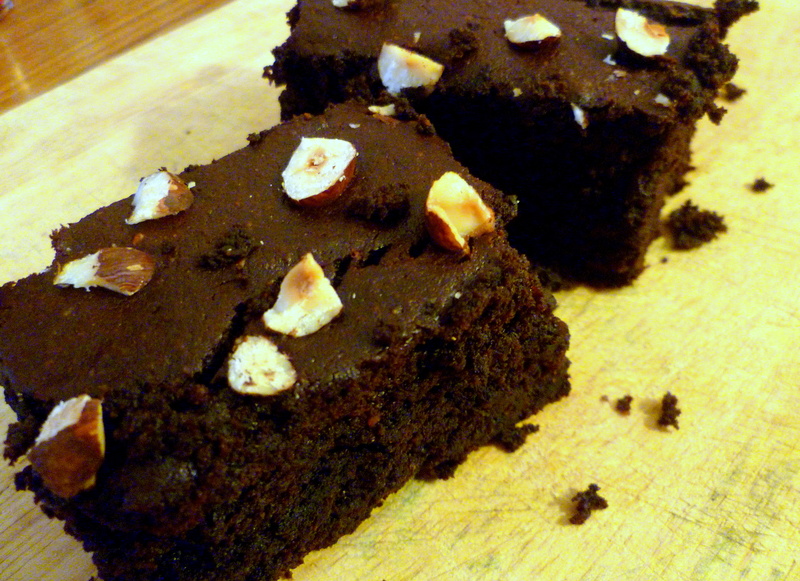 These are some of the best brownies I’ve ever baked or eaten. – a description she does not use lightly. They are devilishly dense, yet miraculously light. Sweet, yet romantically dark and earthy. They taste like they should be a thousand calories, yet come in at 265. I could (and did) eat them for breakfast, lunch and dinner. They are – in short – dangerously good. Bake at your own peril. 150g dark chocolate (min. 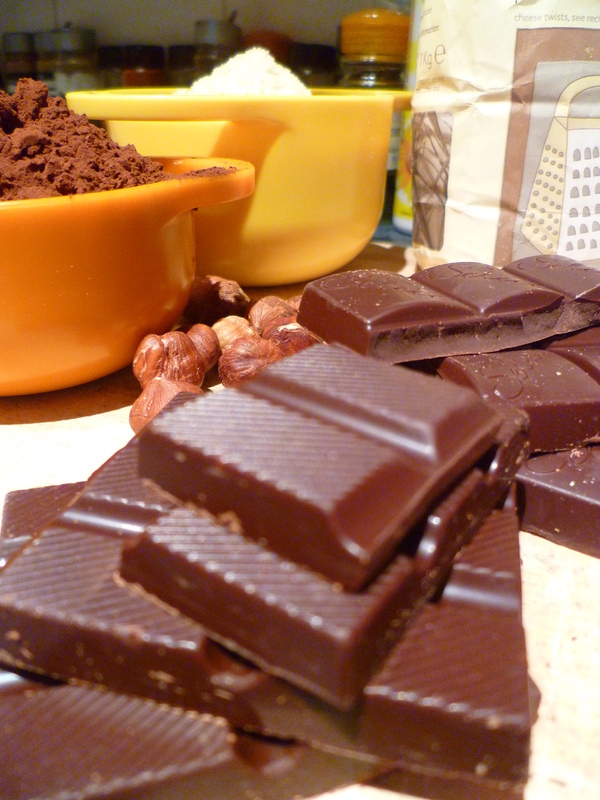 67% cocoa solids), broken into small pieces. Preheat your oven to 160/325 F/ gas mark 3. Line a 27cm X 20 cm X 5cm brownie tin (I used a deeper square silicon tin, but rectangular would have been better). Lightly brush with a little oil. Whisk the eggs, sugar, and salt with a hand-held whisk in a large mixing bowl for 5 minutes until tripled in volume. Whack the diced beetroot into a suitable medium sized bowl and pop in the microwave with a splash of water for three minutes until piping hot. Blend into a puree, adding a little water if necessary – but not too much. Ensure it’s still hot and throw in the chunks of chocolate. Cover with clingfilm and let the chocolate melt for a couple of minutes. Stir in the chocolate until you have a gorgeously purple puree. Return to your egg mixture. 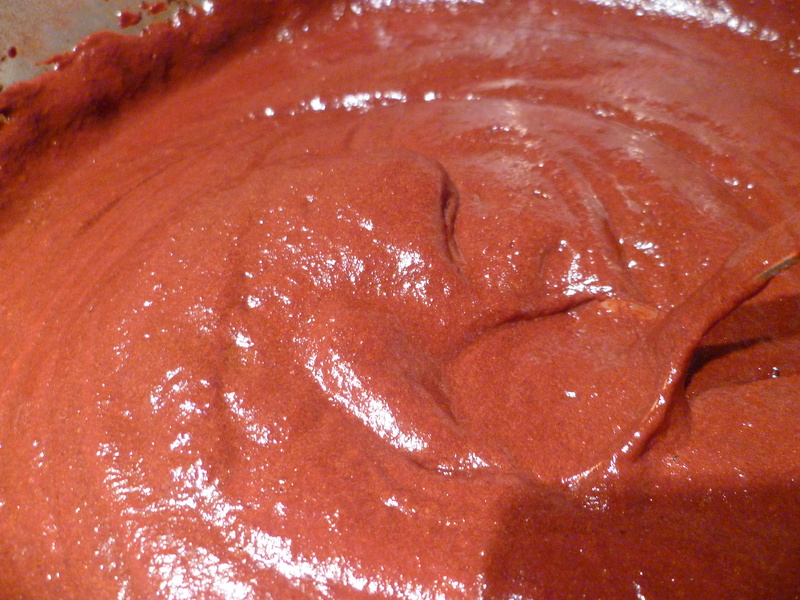 Beat in the ground almonds, flour, cocoa powder, baking powder and vanilla extract until well combined. 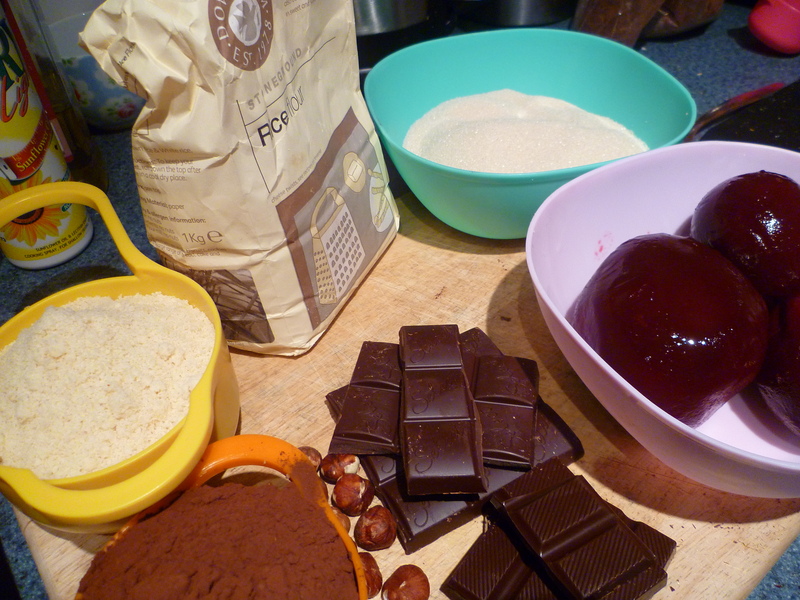 Add the beetroot chocolate puree and fold in thoroughly. Pour into the tin, smooth with a pallette knife or the back of a spoon, and sprinkle your chopped nuts on top to decorate. Bake for 35 minutes in the middle of the oven. Allow to cool in the tin for 20 minutes, before cutting into (small) portions. Go on, I dare you…. These look soooo delicious. I’m drooling! I’ve heard of cakes made with beets, but not with beet root (or maybe they’re the same thing or really similar)… these look deliciously fudgey moist fantastic, and I’m totally intrigued by the beets. Bookmarked!